An interview with Joshua L. Dratel conducted March 29, March 31, and April 4, 2011 by Myron A. Farber for the Columbia Center for Oral History, Rule of Law Oral History Project. 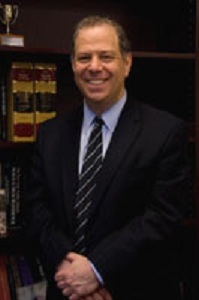 Born and raised in Brooklyn, Joshua Dratel attended Columbia College and Harvard Law School and has been practicing law for more than twenty-five years. With an emphasis on criminal defense and national security, Mr. Dratel has been a leading writer, lecturer, and speaker on the rule of law and the War on Terror. Coeditor of The Torture Papers: The Legal Road to Abu Ghraib, Mr. Dratel is also the recipient of the 2007 Fredrick Douglas Human Rights Award. Highlights of this interview include Mr. Dratel’s recollection of the 1968 Columbia University protests, involvement with Guantánamo Bay and habeas corpus cases, specific military commissions cases, the Geneva Conventions, criminal defense law, torture, and necessary changes within the Department of Defense and government policy.